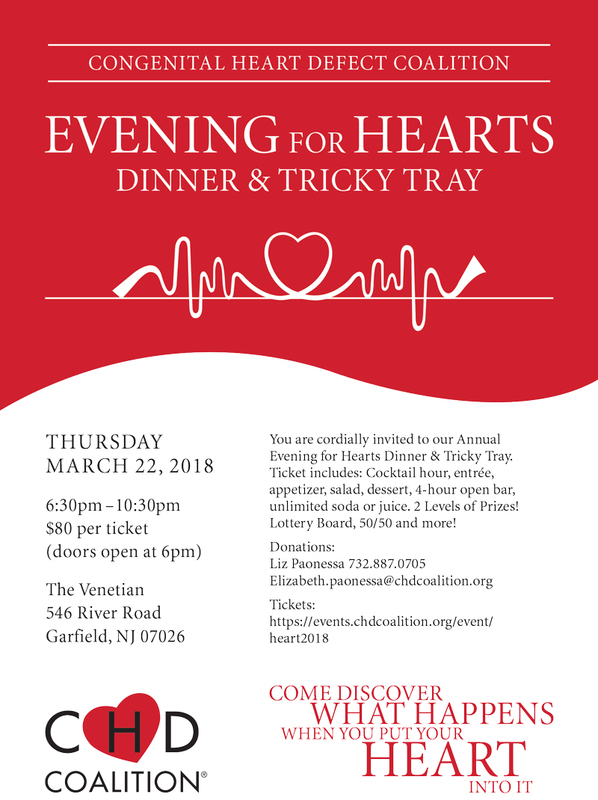 You are cordially invited to our Annual Evening for Hearts Dinner & Tricky Tray to be held on Thursday, March 22, 2018. Ticket includes: Cocktail hour, entrée, appetizer, salad, dessert, 4-hour open bar, unlimited soda or juice. 2 Levels of Prizes! Lottery Board, 50/50 and more!